It never ceases to amaze how quickly one’s legacy can come crumbling down. Jose Aldo is the latest fighter to experience this, after he experienced his third loss in his last four bouts at UFC 218. And now, the man who was once the most feared competitor at 145 pounds is regarded in much different fashion. That in and of itself is a problem, as Aldo’s legacy should not be forgotten due to 13 seconds he wished he’d get back. 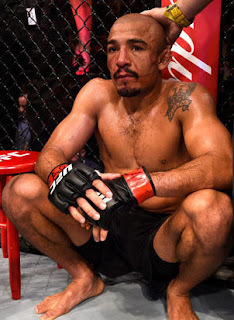 Many professional fighters would trade their careers to experience the success that Aldo has earned. 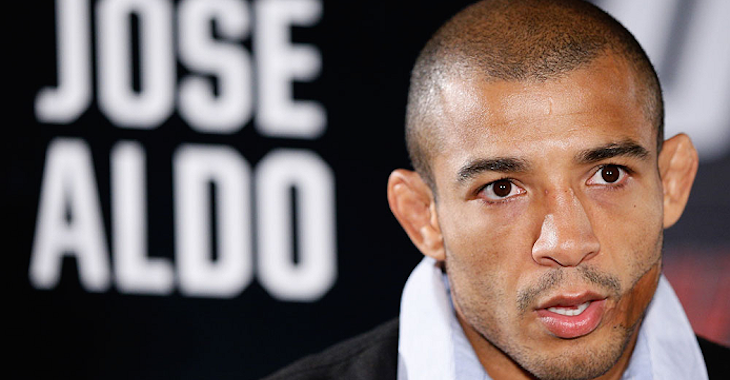 At 31 years of age, Aldo has amassed a 26-4 professional record. That includes wins over fighters with Hall of Fame-like careers such as Frankie Edgar, Urijah Faber, and Kenny Florian. He also dispatched up-and-coming contenders that many were ready to christen as the next big names at featherweight. Chad Mendes, Chan Sung Jung, and Ricardo Lamas are included within that group. And then, there is what happened at UFC 194. After months upon months of goading, Conor McGregor finally got the bout with the featherweight champion. He did the most with that moment, hitting Aldo with one shot, dropping him in 13 seconds, and handing him his first professional loss in more than a decade. The image of Aldo slumped in the corner backstage in tears is one of the most powerful images in the MMA photography catalog. In many ways, that victory not only gave McGregor the title, but it gave him and his fans the ability to write history. Aldo rose to fame in a time when mixed martial arts was still a niche sport. No one should overlook the way he decimated the foes that stood across him during his rise to power. The image of Faber being helped back to the corner after leg kicks withered his legs away at WEC 48 is still a painful scene to watch. 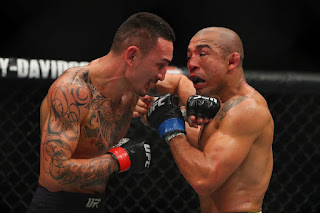 At WEC 41, Aldo needed just six seconds to land two jumping knees to Cub Swanson, leaving him in the fetal position in the middle of the cage. When he transitioned to the UFC in 2011, that’s when things began to change. The highlight-reel stoppages ended. Aldo began to deal with multiple injuries, limiting his time in the Octagon. Along with that, his inability to speak English made him a less intriguing personality to some mainstream fans. While those reasons are understandable, they still don't provide enough justification for whittling Aldo’s legacy away to nothingness. Losses are an inevitable part of mixed martial arts. Unlike boxing, these men and women tend to face the toughest competition available to them in every fight. In turn, they are sure to suffer losses at one point or another. The idea of a loss shouldn’t render a person’s career an afterthought. Jose Aldo deserves better than being pushed aside as if he was never a wrecking force in the featherweight division. In fact, nearly any fighter would trade places with the Brazilian in a moment’s notice. That's something that a few losses won't change.